The Legend of the Brompton Bumble B: Do we have a beat? During last year seeing I had the full Garmin Edge 800 Performance & Navigational Bundle, I decided to install the cadence sensor and started to wear the heart rate monitor aswell on my rides. A few months ago I was looking at the my Garmin 800's screen and the heart rate registered 0 bpm. I thought hello, the strap has slipped or something so I wiggled it about and it started to read my heart rate again but then when to 0bpm again. I thought "Damn I'm dead. Atleast I died on my Brompton" which isn't a bad thing I might add. Reading up on the heart strap and found that a few people where having issues with it after a time. I also found out there was a cheaper heart strap that works and cost alot less. 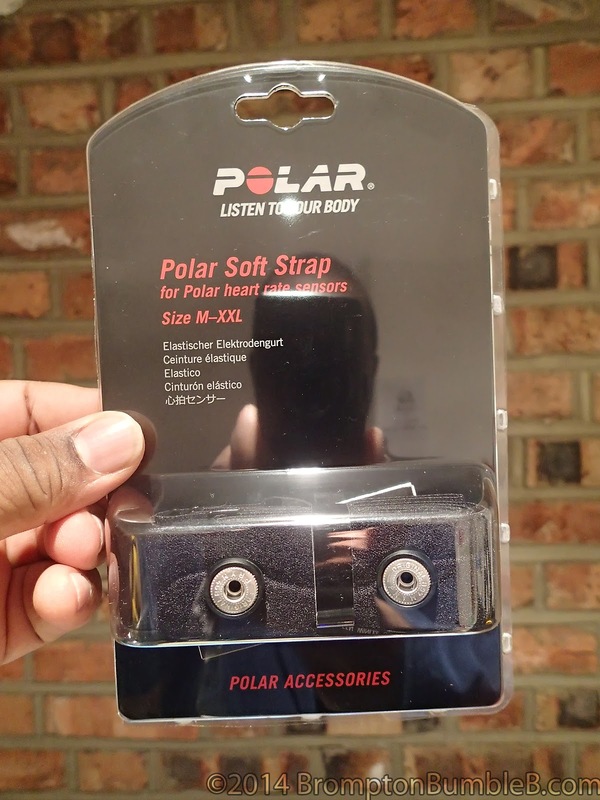 The Polar Soft Strap just so happens to be a direct replacement for the Garmin Heart Strap. As you can see the heart dongle snaps right in no modifications needed. Very Comfortable and Lightweight Chest Strap, Extremely Sensitive to Hearts Electrical Signals. I have to say I'm pretty happy with it as I have been using it alot even on my normal commutes to work of late. Real test will be on a decent long ride but with the weather the way it has been recently it may be a little while. I had the same issue. The original Garmin one I had (it was the old hard rubber one) died after a year so I ended up with a cheaper(!) 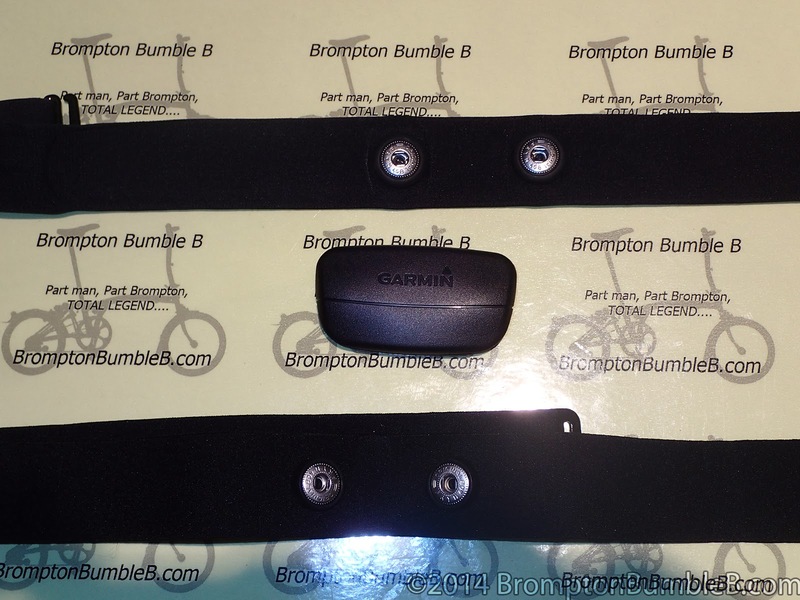 Garmin premium one (the soft fabric one). Didn't know the Polar ones worked with it as well - guess as long as it's ANT+ it'll work? Will post tomorrow about the Power Tap ANT+ Speed & cadence sensor I installed over the weekend. I also got the Garmin soft fabric one but it started not to give proper readings & I died a few times. I just got the polar strap & the Garmin sensor snaps right in.